Products That Change The Game. Companies That Make a Difference. Teams That Make It Possible. We help founders and top executives form entrepreneurial leadership teams that envision and build game-changing products. Parker Remick is a retained executive search consulting firm. We are a collaborative team of consultants, in-house researchers, and project support specialists. Tested by hundreds of assignments across 24 nations, we are inspired and motivated by our clients. Erin is a member of our Data Entry team. She has a BA in Psychology from St. Bonaventure University. Fun Facts about Erin: in her spare time enjoys cooking, making jewelry and taking road trips. She lives with her husband and three bow-tie wearing cats. 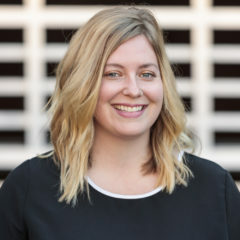 Carolyn joined Parker Remick as a Director in 2018. Prior to joining PR she led searches for Expedia and all its brands globally. In her previous role at Spencer Stuart she executed searches as a member of the global technology practice. Earlier in her career Carolyn worked for Korn/Ferry International in Australia and the US and Heidrick & Struggles in Australia, Japan and the US focusing on technology leadership roles. Carolyn has a BA Hons in History from the University of Melbourne. Fun Facts about Carolyn: She is keen home cook who loves trying new recipes and supporting her local farmers market. When not in her kitchen she enjoys hiking in the beautiful Pacific Northwest and planning her next travel adventure. Grant is a member of our research team. He has a BA in Political Science from Yale University, where he also worked as an Admissions Officer before joining Parker Remick. As a Seattle native, Grant is a diehard Mariners fan, writing about the team for a local blog and going to games whenever he can. When he’s not traveling around to baseball stadiums (he’s been to 10 so far! ), you can find him sampling Seattle’s many breweries, walking around Green Lake, or singing Hamilton lyrics to himself. Sara is a Senior Associate on our team. 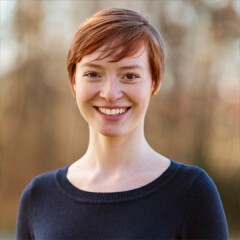 She has a BA in Government and Environmental Science & Policy from The College of William and Mary. Fun Facts about Sara: She spent the first part of 2016 hiking 1,022 miles of the Appalachian Trail, from Springer Mountain, GA to Harper’s Ferry, WV. She also enjoys skiing and playing field hockey. Kimberly is a member of our research team. She has a BA in History from Northeastern University, with a concentration in security studies and the Cold War, and studied abroad in Berlin, Russia, and the Balkans. Fun Facts about Kimberly: While studying abroad, Kimberly was bitten by the travel bug and aspires to visit every country in the world. As Bellevue, WA native and avid movie-goer, she was the president and a founding member of the Seattle International Film Festival’s youth board in high school and continues to volunteer with the organization. Jessica is our Project Manager for all searches, our IT guru, and generally tries to keep the proverbial jello nailed to the walls and from falling through the cracks. She holds a BS degree in Marketing/Management from University of Montana’s School of Business Administration. Fun Facts about Jessica: She has been a PC gamer since age 7 and enjoys anything involving Muppets. Adam works on business operations at the firm. He has a BS degree in Mathematics from Western Washington University. Little-Known Fact: For a lanky guy, Adam consumes an awe-inspiring volume of snacks and unattended leftovers. Cecilia is a member of our research team. She has a BA in Development Studies from Brown University and was a Fulbright Scholar in La Rioja, Spain. Fun Facts about Cecilia: She grew up in the Rio Grande Valley, TX, where she blissfully enjoyed 100 degree weather. In her free time, Cecilia enjoys reading short stories, having coffee with friends, and exploring Seattle. Pat is a Senior Associate on our team. Most recently Pat was an Analyst at Goldman Sachs. He has a BEng in Industrial Engineering from University of Michigan. Fun Facts about Pat: He is an avid Green Bay Packers fan and loves the outdoors, skiing and hiking. Jess is a senior member of our research team. 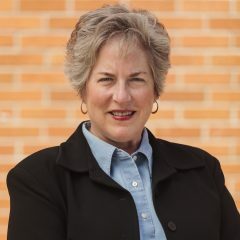 She has a BS in Human Development and Family Studies from Colorado State University and a Master of Social Work focused on Organizational Leadership and Policy Practice from the University of Denver. Fun Facts about Jess: She enjoys spending time outside trail running, rock climbing, skiing and hanging out with her Siberian Husky, Dante. 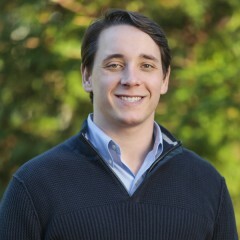 A Co-Founder of Parker Remick, Inc., Rob is a consultant with the firm. 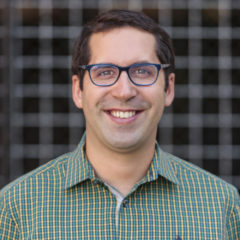 He advises both public and private companies (funded by the world’s top tech investors) on leadership searches in engineering, product management, UX and design, and marketing. Kevin and Rob partnered in 2000, as the firm transitioned its headquarters from Europe to the United States where it has steadily grown. 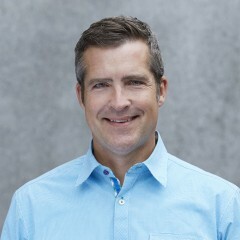 Earlier, Rob ran an interior design firm and later founded DecorMarket.com, which aimed to provide consumers with home furnishing information that previously had been available to architects and designers only. Rob earned an AB in Political Science/Theory from Kenyon College and a JD from the Illinois Institute of Technology. Fun Fact about Rob: Although Rob was a state-champion soccer player as a lad, he’s now more likely to be found playing squash with his wife, Amy, and their children. Jason focuses primarily on partnering with internet and mobile software technology companies to find engineering, security & data leadership. He has worked with large corporate innovators like Amazon, Google & eBay as well as high growth startups in the portfolios of investors like Greylock, Google Ventures, a16z & Sequoia. While about 60% of Jason’s work has been in the bay area, he’s worked both nationally an internationally on assignments, with a special focus on the US west coast. Prior to re-joining Parker Remick in 2017, he led US executive search for an executive search firm based in Australia. Before getting into executive search he co-founded a consultancy aimed at developing support for high-speed rail in Washington State, managed senior state-level political campaigns and has taught communication classes at his alma mater. Fun Facts about Jason: In college, he was ranked among the top ten debaters in the US. In high school, he taught himself HTML and built websites for local businesses as well as teaching web programming to elementary & middle school students. He earned a BA from Western Washington University and majored in Political Science, concentrating on International Relations. Emily is a Recruiting Coordinator for Partner Alicia Litton and Senior Associates Sara Clark and Pat Grogan. She also manages our Data Entry and Recruiting Coordinator teams. Emily has a BA in Communication from Western Washington University. Fun Facts about Emily: In her spare time she enjoys podcasting, wrangling her chickens, floating in the lake, and watching indie films. 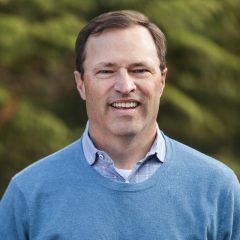 Steve runs the daily operations of the firm and helps lead the overall direction, development, and implementation of Parker Remick’s long-term growth and market strategy. Steve has more than 20 years’ experience leading high-growth service and technology companies that earn deep customer engagement. 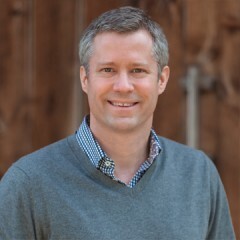 From 2005 to 2014, Steve served as CEO and Board Member of Smashing Ideas, a leading digital engagement agency. He led its sale to Bertelsmann / Random House in 2011. Earlier, Steve was President and CEO of Applied Semantics, creators of AdSense software, which Google acquired in 2003. He’s also held CEO, GM, and other executive roles in digital media for multinational companies such as iXL (through its 1999 IPO) and Spin Cycle (acquired by iXL in 1998). Outside of work, Steve is an avid Seattle Seahawks football fan and when not screaming his head off at a game, you can find Steve cycling around Seattle or Whidbey Island. Alicia is a partner with the firm. Alicia joined Parker Remick in 2014, and is working with technology clients in a variety of functional areas. She joins us with an extensive background executing searches at Heidrick & Struggles, at Korn/Ferry, and as an independent consultant. Fun Facts about Alicia: In her spare time, Alicia enjoys running; she has completed six marathons and is training for her seventh. Her three boys and keeshound also keep her busy. Little-Known Fact: Alicia is the youngest of fraternal triplets by seven minutes. Alicia has a BA in Political Science from Lake Forest College. Jeff Markham brings more than 18 years of experience to Parker Remick partnering with hiring executives and board-level search committees on executive talent acquisition, succession planning, and executive talent development. Previously, Jeff held leadership roles with Herd Freed Hartz and Nosal Partners. He also managed the talent acquisition teams for ACME Business Consulting and Tripwire. Jeff has a BS in Business Administration and Speech Communication from Oregon State University. Fun facts about Jeff: He is an avid marathon runner, NYC is his favorite, and he’s completed it many times over. He’s also one of the best dressed single digit handicap golfers you’ll find. Sarah is a member of our Data Entry team and helps with special projects with our research department. Sarah has a BS in Sociology, with a minor in French, from Western Washington University. Fun Facts about Sarah: She enjoys knitting hats and scarves in her free time and aspires to begin working on socks, she also loves spending time with her parents’ cats whenever she has the chance. 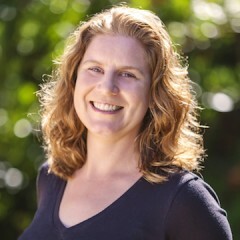 Krista is the Recruiting Coordinator for Jason Heck, Sara Clark and Carolyn Boyle She has a BA in History, Business Administration and Latin American Studies from the University of Oregon. Fun Facts about Krista: She is certified to operate a forklift and can recite from memory the opening monologue from Lord of the Rings. In her spare time she enjoys cross-stitching and spending time outdoors with her husband and dog. Ann-Marie is the Recruiting Coordinator for Partners Kevin Williamson and Rob Healy. Ann-Marie brings nearly 20 years of customer service experience to her role as an RC. Fun Facts about Ann-Marie: In her spare time she enjoys singing in her rock band. 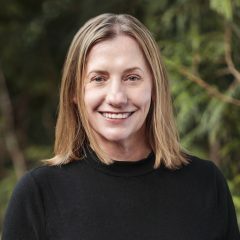 Kelley joined Parker Remick as a Director in 2015 and has managed searches for a variety of leadership roles at both technology companies and venture capital firms. Before joining Parker Remick, Pecis served as Managing Director at Herd Freed Hartz, where she conducted senior-level search assignments across technology, consumer, industrial and professional services sectors. Previously, she spent 10 years guiding clients through major technology changes within enterprise resource planning software at Fortune 500 companies including Accenture, Oracle, and AT&T Wireless. She is a founding member of the NW Recruiters Association of Portland. Kelley graduated from the University of Washington, Michael G. Foster School of Business with a BA, MIS and Finance. Fun Facts about Kelley: She is an avid hiker, lifelong U2 fan and active community volunteer. She also enjoys fly fishing and spending time with her family. Logan leads the research team at Parker Remick. He joined Parker Remick in 2015 as an analyst and specialized in security, gaming, hardware, and device software. He has a BA in History from Columbia University. Fun Facts about Logan: He was a coxswain in high school and coached rowing after graduating college. He is also a lifelong Green Bay Packers fan and cat enthusiast. Jill is the Recruiting Coordinator for Directors Kelley Pecis and Jeff Markham. She has a BA in Communications & Liberal Studies from Western Washington University. Fun Facts about Jill: In her former life, Jill could be found performing in the Seattle music scene in the late 70’s and 80’s. Super weird fun fact: She had her own TV show on a Seattle public TV station and one of her guests was Bill Nye, who was just starting out. 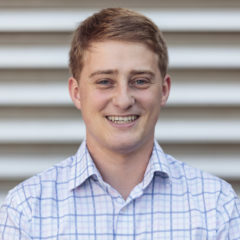 Grant is a Partner and joined Parker Remick in 2010. He manages leadership searches for significant technology companies like Square, Twitter and Riot Games as well as startups such as Kitty Hawk, Rocket Lawyer and BloomNation. 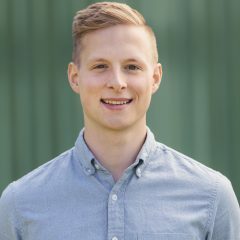 Prior to working as a Partner, Grant managed the firm’s research department and helped source candidates for clients including Google, Twilio and Pinterest. 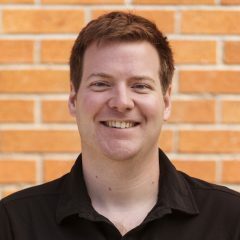 Grant’s focus has primarily been on Engineering leadership searches, although he also has experience with Product, UI/UX, Marketing, and Security. In his spare time, Grant enjoys poker, cooking, and is an avid skier. Grant has a BA in Government from Cornell University and a MA in American Government from Georgetown University. Voted “Staff Favorite”, Harriet frequents the office with her owner, Kevin, spreading joy and laughter to all who pet her. Fun Facts about Harriet: A rescue from the Whatcom Humane Society, Harriet has no prior training as a company mascot but excels at her position all the same. Our founding partner, Kevin, uses 20 years of executive search experience, international background and an abundance of British wit to work on some of the most senior searches at Parker Remick. He has led numerous C and V-level searches for clients such as Google, Amazon, eBay, Square and Pinterest. He also leads business development activities for the firm. Before founding Parker Remick in 1998, Kevin led the technology practice at FSS International, a global executive search firm. Outside of work, Kevin serves on the boards of the Humane Society and WeSNIP, hikes, and participates in triathlons. Fun Fact about Kevin: He is a trained meteorologist; although his dream of being a TV weatherman got rained upon, he can still predict the weather with astounding accuracy. Kevin holds a BSc in Psychology from Plymouth University in the UK. Ed is a Director at the firm. 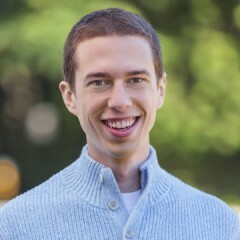 He joins with a successful history at his own firm, Inductus Associates, where he recruited Product, Engineering, and Marketing leaders for companies such as Chegg, CrowdStreet, Life360, Mint.com, MuleSoft, TaskRabbit, Ticketfly, and UpWork. Ed graduated from Princeton University with an AB in Politics and has an MBA from Stanford University. Fun Facts about Ed: He enjoys coaching his son’s Little League baseball team and cheering on Stanford football.